Add a description here for this section, just click the update button above in top tool bar. Montague Island has some of the best snorkelling and dive sites on the Eastern Coast due to its abundance of marine life, including the largest seal colony in NSW, sea turtles, dolphins, and a diverse array of fish types. 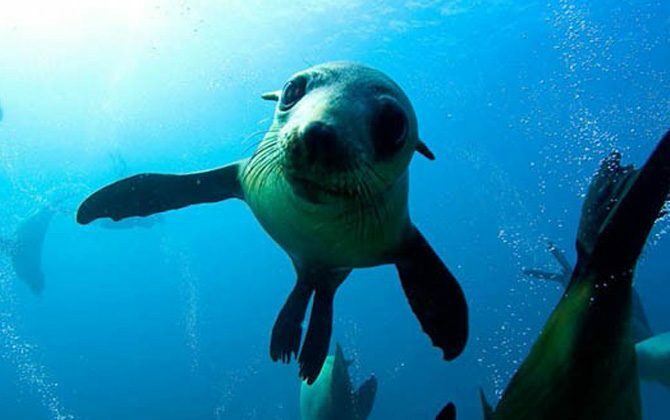 Get up close and personal with the playful seals and see a vast range of marine mammal in their natural environment. Narooma Tours provides everything you need, including fins, mask & snorkel to enable you to go snorkelling – it’s the perfect addition to a Montague Island Tour!